Neatly uniformed staff and British style locomotives at São Paulo’s Luz station in about 1920. From official photo album. This is the title of a book by Paul Catchpole, published by “Locomotives International”, (Mainline & Maritime Ltd., Southampton.) describing the building and operation of the São Paulo Railway, towards the end of the 19th century. To log on to the sites click here and here. The following is an excerpt from a book recently published by Andrea Jakobsson Estúdio, entitled “Logistica – Uma Historia dos Caminhos Brasileiros”, by Angela Moreira Domingues da Silva (translated by Chris Hieatt) – a history of logistics in Brazil, including the origins and growth of the railway system. “Mule-trains and ox-carts continued to be the preferred means of transport, at least until 1870, for both passengers and goods, including coffee, between the various parts of the country. Long distances and the broken terrain made internal communication difficult, also adding to the price of merchandise, which was calculated according to the cost of production and distribution. Producers, traders and buyers complained to the government about the precarious interconnection between regions. 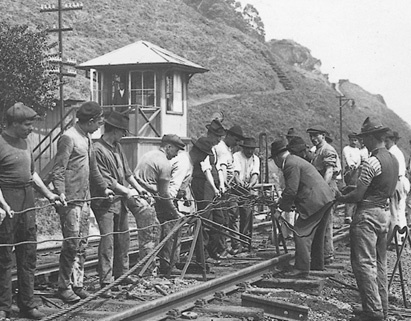 “The objective of railroad construction projects was to diminish distances, reduce prices and facilitate the flow of merchandise produced in Brazil, constituting major technological advances throughout the 19th century, following governmental measures aimed at stimulating the country’s economy, allying this aspect to the demands of the farmers and commerce. “With a view to improving transport conditions and the flow of goods from Brazil’s interior to the ports, in 1828 Dom Pedro I made an initial effort, though still timid, by publishing the so-called José Clemente Law, which permitted the building of highways and railroads in the country. Three years previously, on the international scene, England had developed a steam-driven locomotive to substitute animal traction. Dom Pedro’s project put Brazil on the international map, but showed Brazil to be a country of contradictions, pursuing technological modernization while still using slave labor. “The mentality regarding benefits that a railroad would bring started to change during the decade of the 1850s, due to a variety of factors. The end of slave trafficking, the political-administrative structure of the Second Reign, and news of the successful railroad system in Europe completed an equation the result of which was a growing interest on the part of entrepreneurs to invest in the building of railroads in Brazil. “The installation of a railroad network would support the operations of production, transport and distribution of goods produced in the regions of Rio de Janeiro, São Paulo and Minas Gerais. 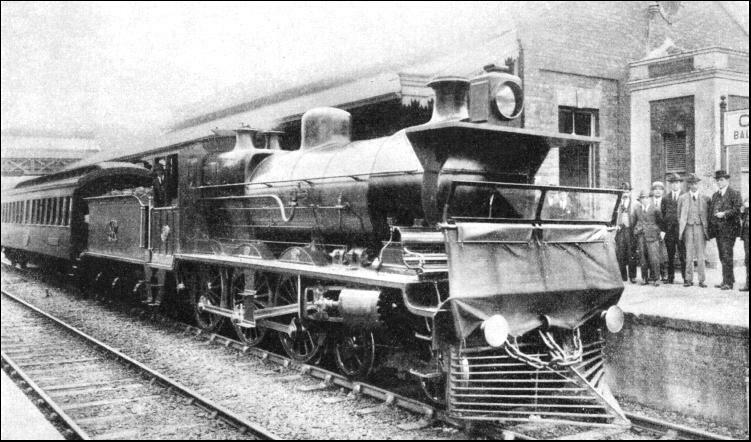 “Two years later the first Brazilian railroad was inaugurated. Its route was within the state of Rio de Janeiro, linking the Estrella Port, in Guanabara Bay, to the Fragoso station, half way up the Petropolis mountain, where it arrived after two years in construction. The name that most stood out in railroad building was that of Irineu Evangelista de Sousa, named Baron of Mauá in 1854. He undertook the job of building this railroad, based on studies made by English engineers. “The railroad required little investment, since its entire length was only 14 kilometers, due to technical problems in climbing the mountain to get to Petrópolis. However, this railroad transported the coffee produced in the states of Minas Gerais and Rio de Janeiro, albeit for only a short space of time. “The coffee planters brought so much pressure to bear that the imperial government granted exclusive privilege to a company in Rio de Janeiro, for ninety years, to build and use a railroad that would link the Court to the provinces of São Paulo and Minas Gerais, as provided in the 1852 law. “This railroad would leave the city of Rio de Janeiro, pass through the coastal mountains and fork in two directions: one to Cachoeira, in São Paulo, and one to Porto Novo da Cunha, on the border between Minas Gerais and Rio de Janeiro . 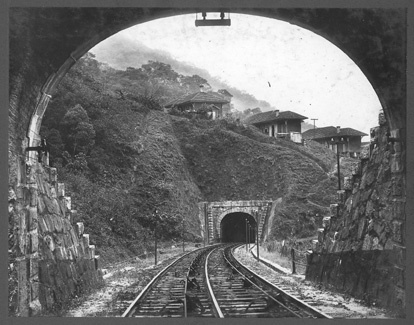 The region’s mountainous relief affected operations and the physical configuration of the railroad, which required the opening of no less than 13 tunnels, some reaching up to two kilometers in length. This railroad, inaugurated in 1858, was baptized as the Dom Pedro II railroad, later known as the ‘Central do Brasil’. “After the death of Frederick Fomm, his widow, Ana Paes de Barros Aguiar, gave all the documentation and studies made in 1836 for the construction of the railroad in São Paulo, to the Marquis of Porto Alegre, who was a relative of hers. The Marquis, in turn, gave them to the then Viscount of Mauá, who turned them over to the English Company. “Years later, based on these studies, Mauá, now a Baron, was one of the beneficiaries of the Imperial Decree that authorized the organization of a company outside Brazil, with the objective of building railroads in Brazil, but specifically linking the port of Santos to the city of São Paulo and the town of Jundiaí. 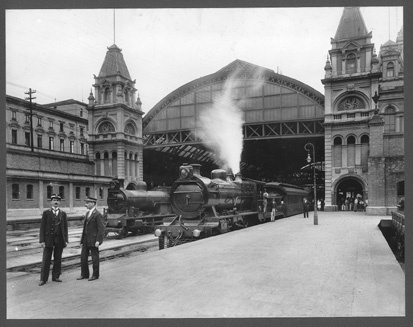 “From this concession came the São Paulo Railway, headquartered in London. The project for the construction of the Santos railroad started in 1860, and its route was supposed to follow the logical flow of sugar and coffee produced in the region under study. Once again, due to the mountainous terrain, construction was very complicated, with the need to build tunnels and viaducts across the escarpment in order to render the route viable. The railroad only arrived in São Paulo six years later and reached Jundiaí in 1867. A SPECIAL STAFF TRAIN at the station of Campo Limpo, not far from the town of Jundiahy. The screen in front of the engine serves to protect a special seat used by the line inspector. SPLICING THE WIRE ROPE by means of which trains ascend and descend the inclines. The rope, 5¼ in. in circumference, is composed of six strands of steel wire on a hemp core, and, when new, is tested to a breaking-point of 108 tons. There are so many options out there that I’m completely overwhelmed .. Any tips? Cheers! Start with a free platform like WordPress.